Olveston House - Caribbean & Co.
Olveston House is owned by Beatles producer Sir George Martin and rented to island hotelier Carol Osborne. 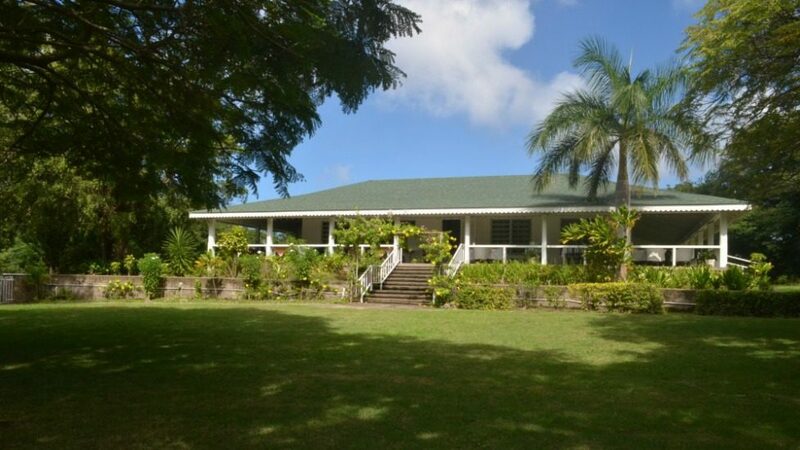 Spread over five acres of tropical gardens and touched by a cool Caribbean breeze from the surrounding mountains, this 1950s villa provides a serene retreat for tourists and business people alike visiting Montserrat. Musical memorabilia is displayed throughout Olveston House a nod to when Sr George Martin brought musicians like Sting, Elton John, and Paul McCartney to his AIR Studios on Montserrat to record. A leisurely stroll through the well-manicured grounds introduces spectacular views of the Soufrière Hills Volcano and the neighboring Belham Valley. The all-day restaurant serves Caribbean-infused English cuisine. Wednesday barbecue and Friday pub nights are great for eavesdropping on gossiping islanders.